See below for past concert descriptions. When a simple hunt for the Sasquatch of Prospect Park (Green '06) goes awry, wannabe Indiana Jones (Williams) Percy and naturalist Eloise find themselves Spellbound (Rozsa) to a world where Superstition (Wonder arr. Kocharian) comes to life. With the help of Friends on the Other Side (Newman arr. Badillo) can they get Out of the Woods (Swift arr. Rosen), or will they get stuck in a Nightmare Before Christmas (Elfman arr. McKenzie)? Join aspiring spies Julius, Mia, and Natasha as they vie for the title of America’s Next Top Spy. 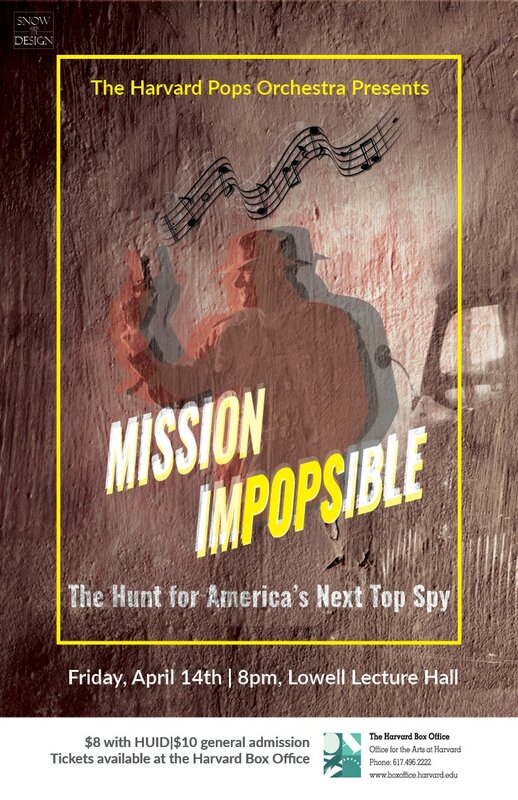 Will this prove to be a Mission Impossible (Schifrin, Custer)? Or will the contestants be able to demonstrate that they are a group of Incredibles (Giacchino, Holcombe)? Be Prepared (Rice, John, Hylton, Min) for their far-flung Escapades (Williams), whether to Hawaii, or the river Moldau (Smetana). Regardless of who joins Sherlock (Price, Arnold, Marsh) and 007 (Custer) in the Spy Hall of Fame, it is sure to be a wild ride. But what can we say except "You’re Welcome" (Miranda, Foa'i, Mancina, Kim)? Our beloved alumni will be singing, acting, conducting, and playing with the orchestra for Pops' Greatest Hits such as West Side Story (Bernstein) and Star Wars (Williams). 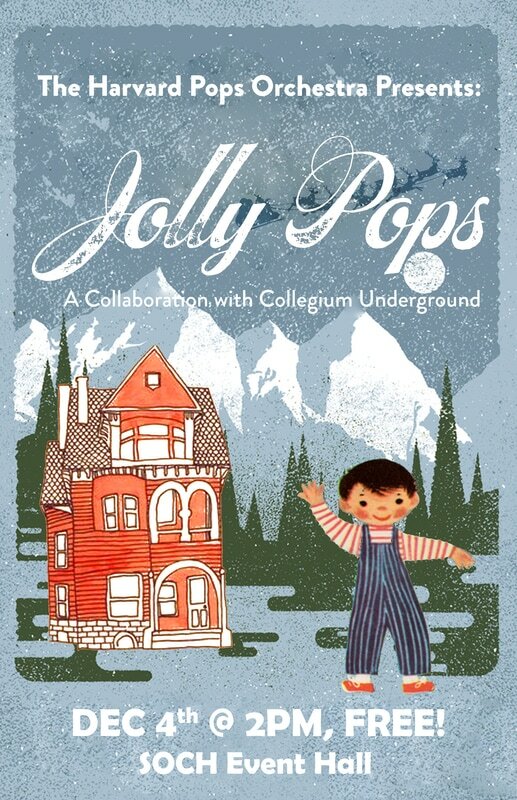 An ancient map leads Popsies young and old across Harvard's campus to find a legendary treasure with the power to ruin or save Pops. Follow us On the Trail (Daniels) as we attempt to save our Poor Unfortunate Souls (Green)! In an adventure not unlike Pirates of the Caribbean (Ricketts), will Popsies be able to find the treasure before the Were-Viola (Daniels, Lim) arrives? 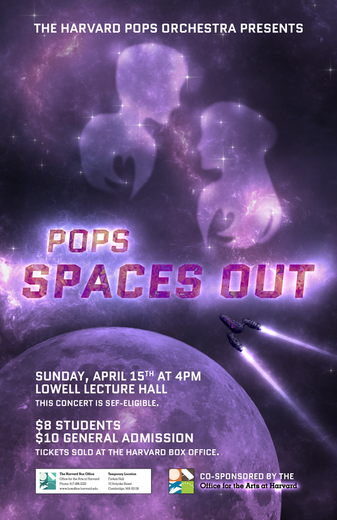 It’s time to Summon the Heroes (Williams) to Lowell Lecture Hall! The reigning God of Mount Auburn (like the Jupiter [Holst] of Harvard) has reached the end of his term, and it’s up to his children Nike and Titus to take over. Before they have the power to continue the Circle of Life (John), they must first head Up (Giacchino) to Harvard for one year to learn about the students they are about to rule over. 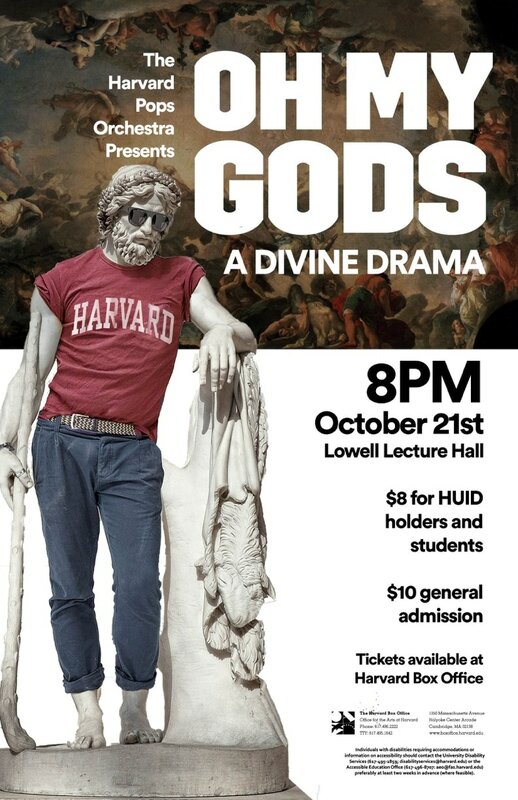 But life at Harvard is not as easy as our young gods thought. Will they really be able to ascend the throne, or are their dreams just a Perfect Illusion (Lady Gaga)? Whatever the outcome, this divine drama is sure to entertain- you can Bet On It (High School Musical 2)! 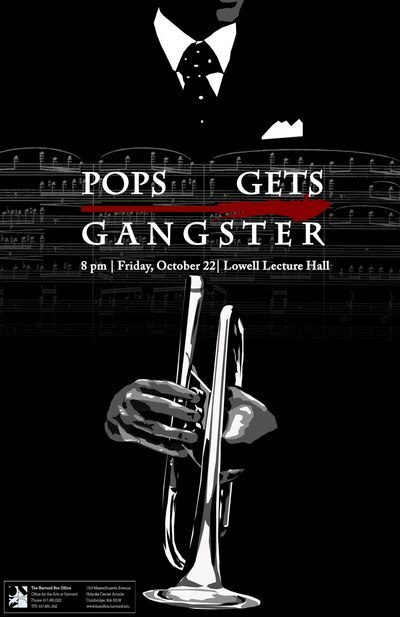 Say Hello (Adele) to the Harvard Pops Orchestra as they attempt to stay alive on a campus plagued by a string of mysterious deaths! Rocky Horror (O'Brien) awaits as Vivica and Remy try to survive the attacks from alleged murderer Peter. Will they tell each other, "I'll Make a Man Out of You (Wilder)" and make it through the turmoil, or will the orchestra need to play a Funeral March for a Marionette (Gounod)? One thing is for sure: this Symphonie Fantastique (Berlioz) is sure to be full of Madness (Marsh & Rosen)! 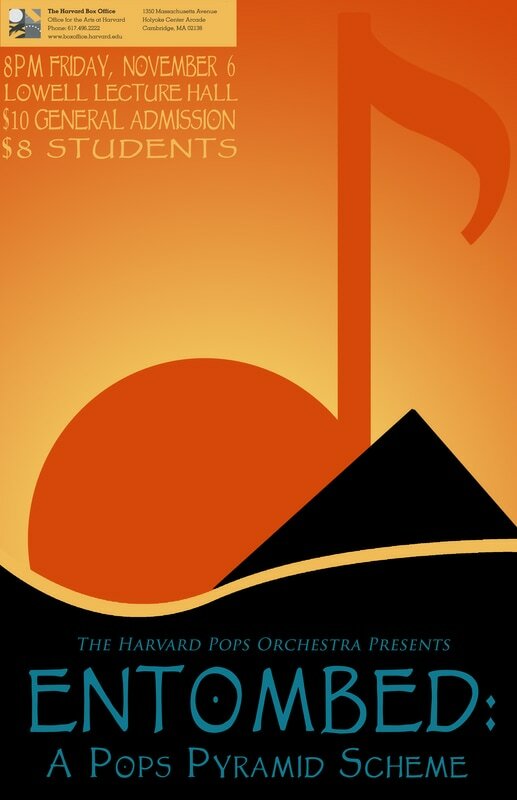 The hot days of summer may be gone, but the Harvard Pops Orchestra is ready to take you to the scorching deserts of Egypt! Follow Sam and Layla as they take to the deserts to scour a newly discovered pyramid for treasure. As they Walk Like an Egyptian (Sternberg) into the ruins, they awaken a long-dead Prince of Egypt (Schwartz) who has sworn to protect his final resting place. Will they end up rich and happy like Jasmine and Aladdin (Menken), or will they come out a couple of Les Miserables (Schönberg)? One thing is certain: it’s gonna take a lot of Kung Fu Fighting (Carl Douglas) before they’re ready to Run This Town (Jay-Z). Join the Harvard Pops to see what’s in store! Ahoy, mateys! Warmer days are finally upon us, and Harvard students Blair and Wyatt are gearing up for a tropical vacation during Spring Break. Unfortunately for them, Pyrite Isle is about to be overrun with a vengeful group of Pirates of the Caribbean (Zimmer)! Will they enjoy themselves by Livin' la Vida Loca and dancing The Tango Ivy League (Badillo), or will these two Poor Unfortunate Souls (Menken) experience a disaster of Titanic (Horner) proportions? 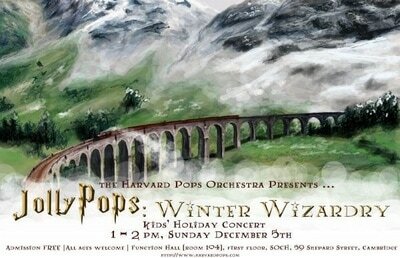 Join the Harvard Pops Orchestra to find out! Alack! 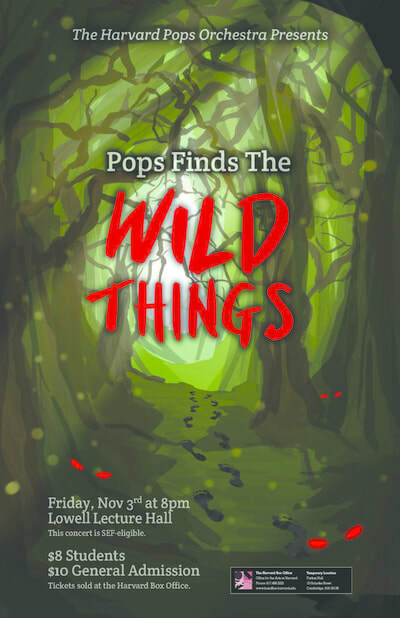 The Wicked (Schwartz) sorceress Eleanora Thistle has cast a dangerous spell on the kingdom of Harmonia and it’s going to take The Harvard Pops Orchestra all of the courage in A Fifth of Beethoven (Murphy) to get out of this one. With the Syncopated Clock (Anderson) running out before the curse is permanent, Princess Aria and her betrothed, Daniel “Danny Boy (Grainger)” of the House of Virtuoso must put the wedding planning on hold—deciding whether their first dance will be a Danse Bacchanale (Saint-Saens) or a Sleeping Beauty Waltz (Tchaikovsky) isn’t important at a time like this—and attempt to save the kingdom. Can they Go the Distance (Menken), or will we need a Pavane for a Dead Princess (Ravel) before the night is through? Our valiant duo will throw out a Hallelujah (Cohen) and hope for the best, but one thing is certain: after tonight, things will never be the same. 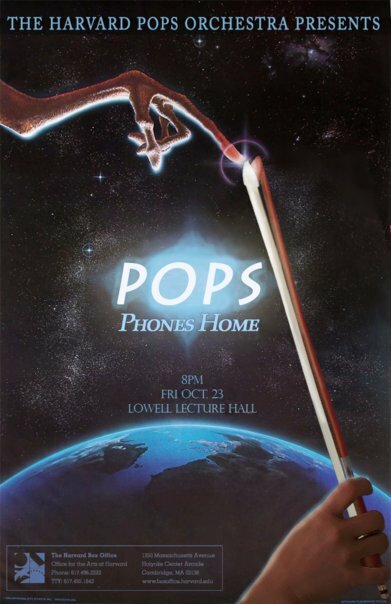 Join The Harvard Pops for an evening of more adventure than Star Wars (Williams) and Game of Thrones (Djawadi) combined! Help! The Harvard Pops Orchestra’s application for credit transfer has been accepted! Follow the adventures of two Harvard students, Maria and Drew, as they travel to the land of Evita (Lloyd Webber): Buenos Aires, Argentina. With their limited knowledge of [Capriccio] Espagnole (Rimsky-Korsakov), the two are thrust into their own West Side Story (Bernstein) of romance, adventure, and jewel smuggling. Far from home, Drew believes that the time abroad will be the turning point for his unrequited love for Maria: will he Don’t Stop Believin’ (Cain, Perry, & Schon) or Let it Go (Anderson-Lopez & Lopez)? On the other hand, the newly single Maria is of the opinion that she Won’t Say I’m in Love (Menken) during her time away from the Harvard campus, either to Drew or to anyone else. However, this becomes difficult when she meets the utterly debonair Santiago. His Hips Don’t Lie (Shakira), but could he be hiding a secret--namely, a connection to the notorious jewel smuggling Bling Ring that has been terrorizing the city's precious gems? 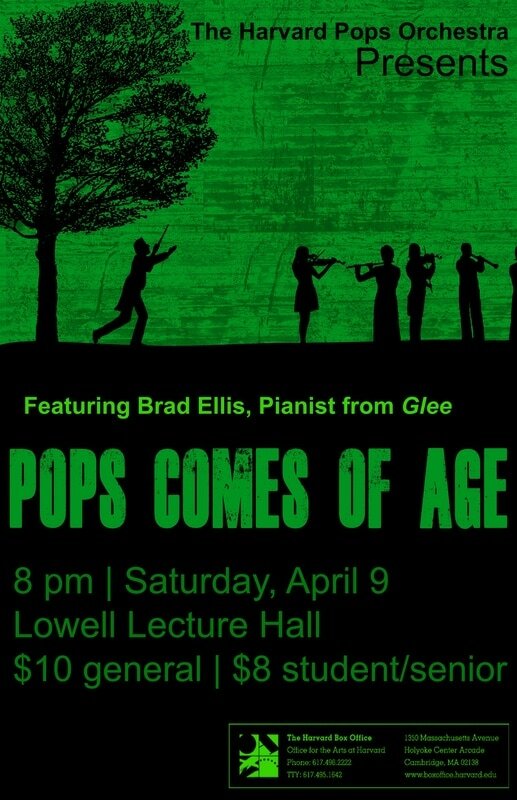 Join The Harvard Pops Orchestra and special guest Brad Ellis, the pianist from Glee, for an exciting exploration of the events that unfold when Harvard students actually leave the Harvard Bubble (gasp! ), an act that requires the bravery of Los Toreadors (Bizet). HELP! There has been a homicide on the campus of Cambridge University, here in Harvard of the UK. Luckily, three ambitious young Wannabe (Spice Girls) detectives all spring into action. Things quickly become increasingly suspicious, as a Mystery Medley (Golden) of evidence surmounts. 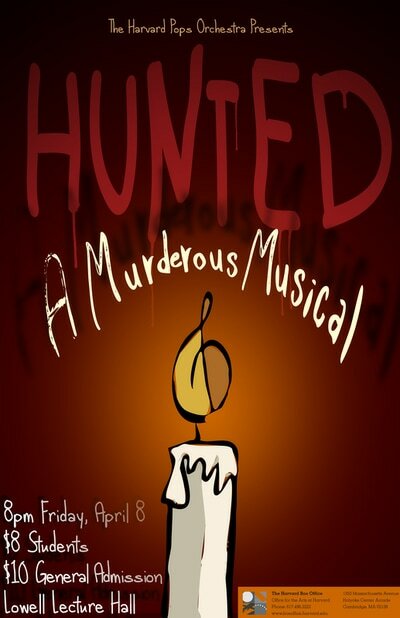 Despite each of our protagonists' seemingly hard efforts, sleuthing like a Pink Panther (Mancini), it becomes increasingly clear that the murderer must be amongst them. Will the innocent ones pull through like the Men in Black (Mancini), or will the killer amongst them take out the others, in just One, Two, Theramazoo (Goldin)? 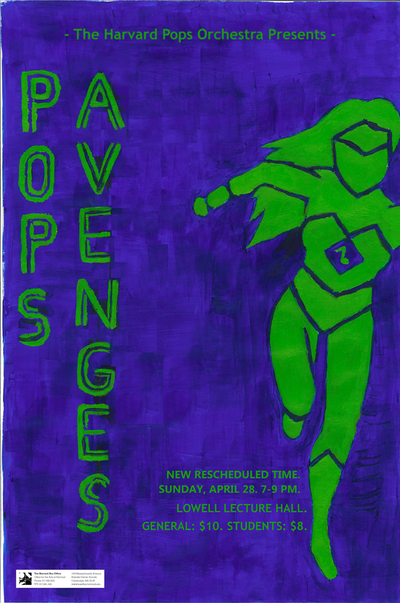 Prepare to be absolutely Spellbound (Rozsa) by the music, acting, and original storyline at the Pops concert where we will crack the mystery, British Sherlock style. HELP! All of our favorite superheroes have been disappearing! Are they all on vacation, or is there something more sinister in motion? 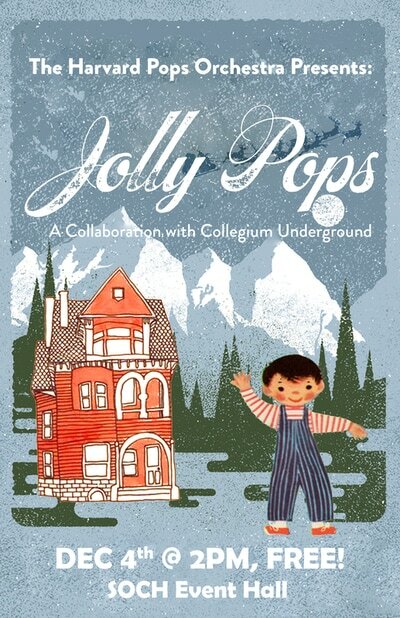 The only clue to this unsettling predicament is the very strange behavior of our favorite pops-playing orchestra. Despite an effort worth A Thousand Miles (Carlton), Vanessa, our incorruptible heroine, is rejected from her dream internship. Luckily, she finds an invaluable (and sassy) mentor who helps her channel her inner Superman (Timberg). With her newfound training, she gets off to a Rocky (Conti) start. However, when she discovers that the perpLEXing (Daugherty) forces of evil have taken the Highway to Hell (AC/DC) of betrayal against her, she is forced to finally stand up for herself, and for the world. Can Vanessa complete this Mission Impossible (Schifrin) and come up with the strength to Summon the Heroes (Williams) back from evil? Or will the villains indeed let the Skyfall (Adele), by converting the last talented superheros of the world to evil on a Night on Bald Mountain (Mussorgsky)? Hark! (Mendelssohn) What do we do when Santa has a midlife crisis and moves to the Bahamas? Join our two brave, young protagonists as they put their hopes of White Christmas (Berlin) on the back burner and visit a diverse set of locations around the world to deliver presents on their own. They have no problem with the occasional Polar Express (Silvestri) ride and of course, your classic Sleigh Ride (Anderson), but things get sticky when a reckless crew of Pirates of the Caribbean (Badelt) try to disrupt the adventure! 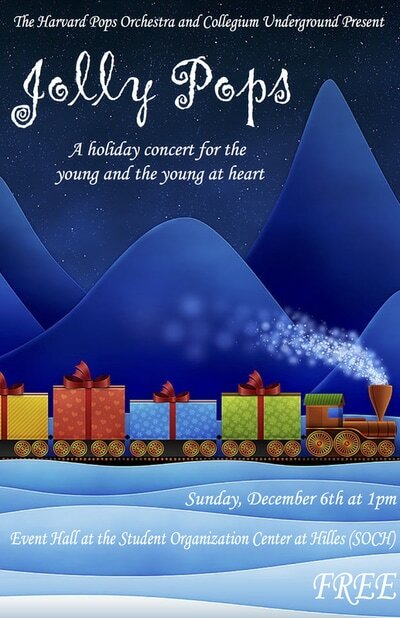 A story of perseverance and faith in the Christmas spirit, this concert will show what it truly means to Go the Distance (Menken). Perfect for the young and the young at heart. Stick around at the end for a meet and greet with the players at the Instrument Petting Zoo. 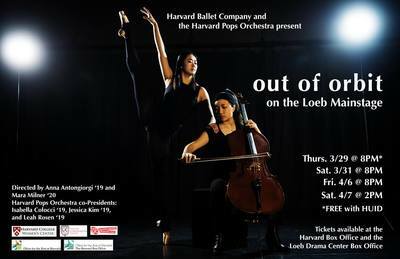 The Harvard Pops Orchestra is packing its bags, getting out of the land of brick and clam chowder, and trekking to a completely New World (Symphony) (Dvorak)--the Wild West. In a manner reminiscent of the backroads of Oklahoma (Rodgers), conflict breaks out almost immediately as our young protagonists, Bill and Annie, take the stage. Annie, a wanted "criminal," has new challenges to face in this land. Annie, Get Your Gun (Berlin), because you never know what's in store in this strange place. Will she join Jesse's Band of Thieves (Feinstein), another wanted bunch dangerous, misunderstood, Westerners operating Somewhere Out There (Horner)? Meanwhile can Bill overcome his regret, solitude, and disillusionment, Bohemian Rhapsody (Queen) style, and discover how he can truly be happy? Past E.T. Adventures on Earth (Williams) in the original American West turned out to be pretty great, as you may know from Indiana Jones: Raiders March (Williams) but only at this concert will you be able to judge if it lives up to all the hype! You are Wanted, dead or alive (preferably alive), and before we bid you a final Ashokan Farewell (Ungar), we will have presented you an original script, along with the above numbers, plus many more! It is finally here--the year to end it all! And what better way to spend it than joining our brave heroes in a time-traveling adventure into the past? After an initial Overture to Candide (Bernstein), you may just find yourself swept into a different millennium, far before 2012, but close to a shocking apocalypse of its own. When our time travelers are quite literally thrown into A Whole New World (Menken), they are joined by a new companion, a young Sorcerer's Apprentice (Dukas). Unfortunately, things take a turn for the worse when the apprentice's master, an evil wizard, discovers and imprisons our heroes--a truly Les Misérables (Schönberg) situation. Will our time traveling heroes be able to outsmart the evil wizard and his apocalyptic plans, and eventually make it Back to the Future (Douglas)? Will they be able to successfully complete a quest as epic as that of The Lord of the Rings (Shore) on their own? Or will they need some Fuel (Metallica) to help them? Whether you do or do not buy into the apocalypse hype, be sure to join us for this epic concert. By the end, you won't help but declare: "I'm a Believer (Diamond)!" Pops delves into the drama of middle school featuring guest performer Brad Ellis, pianist from Glee! 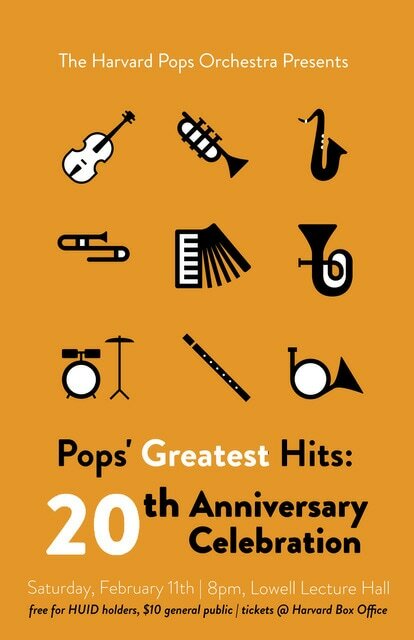 Major repertoire: "The School For Scandal," "Wicked," "Pirates of the Caribbean," "Fiddler on the Roof," "Make a Man Out of You," "Danse Bachanale," "Don't Stop Believin'." 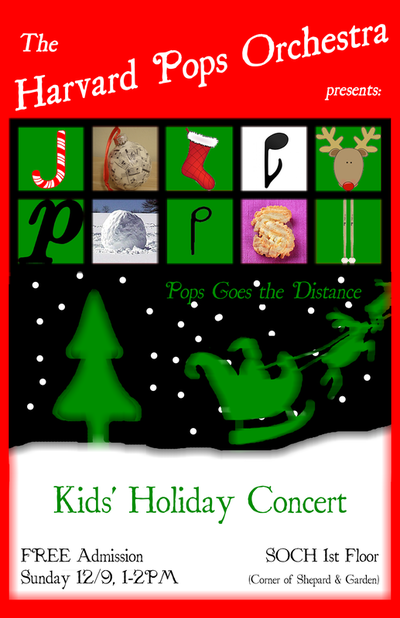 Holiday Kids' Concert. Major repertoire: "Harry Potter," "The Polar Express," "Waltz of the Flowers," "Sleigh Ride," "Charlie Brown." Revisit the era of the Chicago mobster on the run, risking life and limb for the thrill of the chase. Major repertoire: "On the Waterfront," "The Pink Panther," "Slaughter on 10th Avenue," "Catch Me If You Can," "Cell Block Tango." 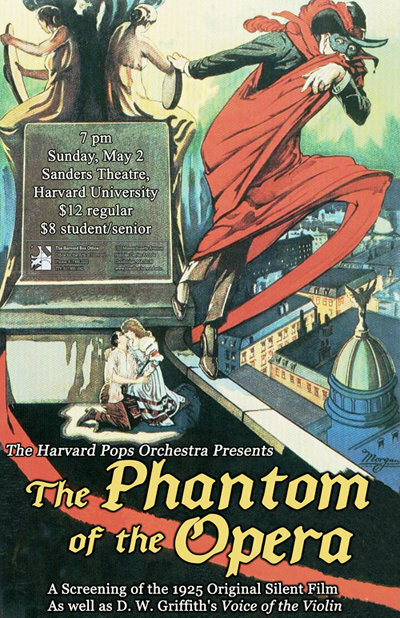 A screening of the original 1925 film The Phantom of the Opera in Sanders Theater, featuring one of Lon's Chaney's greatest performances as the Phantom. 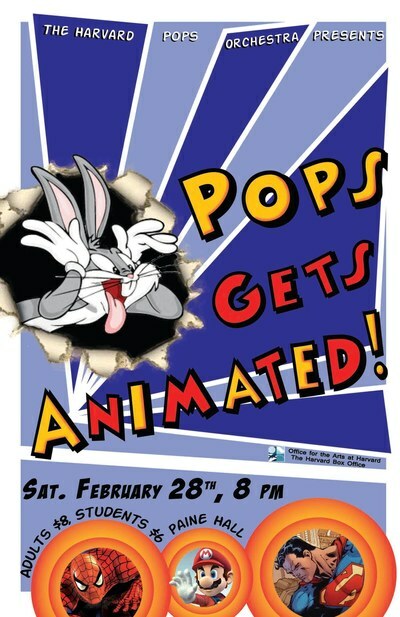 The Pops accompanied the silent film, as well as D.W. Griffith's short film The Voice of the Violin. Casey's at the bat alright! Well Harv, it looks like he's ready for an exciting game. Right you are Ken, we're in store for something spectacular tonight. 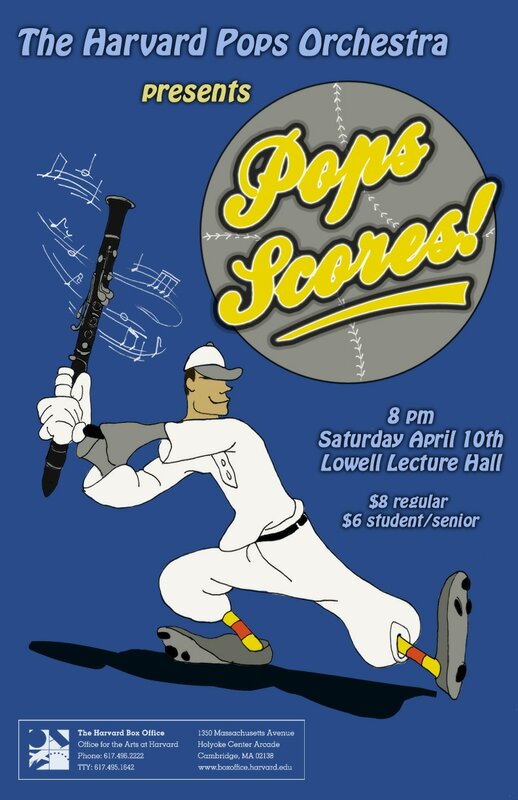 Major repertoire: "Casey at the Bat," "Go the Distance," "Summon the Heroes," "Bugler's Dream," "Musical Highlights from Rocky," "Sabre Dance," "Les Toreadors." Holiday Kids' Concert. 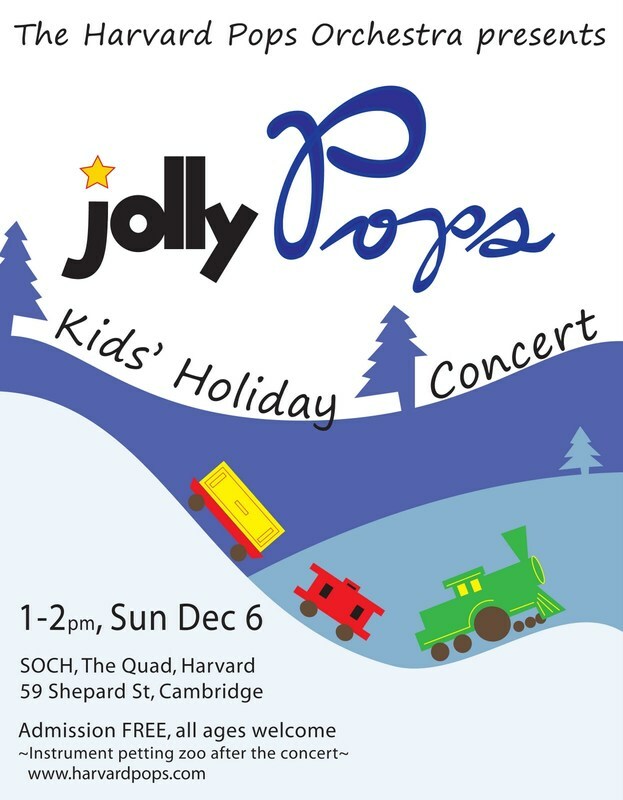 Major repertoire: "Sleigh Ride," music from "Aladdin," dance from "The Nutcracker," "I Love Trash" with Oscar the Grouch, "You're a Mean One Mister Grinch," with holiday sing-a-long and instrument petting zoo. Pops has an otherworldly adventure. Major repertoire: "Themes from E.T. the Extraterrestrial"
Sin never sounded so good. What's up Doc? 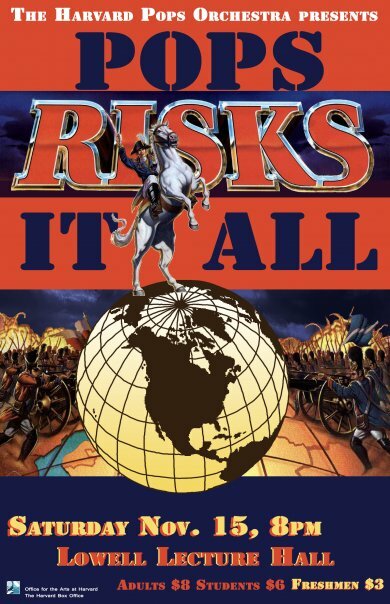 Major repertoire: "Themes from Spiderman"
Not your typical game of risk. Pops' take on classic fairy tales. Major repertoire: Stravinsky - "Firebired Suite," Tchaikovsky - "Sleeping Beauty," Dukas - "Ther Sorcerer's Apprentice," and Feinstein - "The Red Shoes." The animal concert. Major repertoire: Saint-Saens - "Carnival of the Animals," Strauss - "Die Fledermaus," and John Williams - "Raiders of the Lost Ark." An underwater adventure. Major repertoire: Bernstein - "Symphonic Dances from West Side Story," Badelt - "Pirates of the Caribbean," and our own Allen Feinstein's concerto for euphonium, featuring special guest Adam Frey. Our 10th Anniversay spectacular in Sanders Theater! Major repertoire: John Williams - music from "Back to the Future" and "Star Wars," Gershwin - "Rhapsody in Blue," Green - "Concerto for Time-Travelling Orchestra," and Brubeck - "Interplay," a concerto for classical violin, jazz violin, and fiddle. A Pops double feature. Major repertoire: accompaniment to the classic silent film "The Mark of Zorro" and an original radio play, by Liz Weinbloom '07 and Ben Green '06. Or, Curse of the Were-viola. Major repertoire: John Williams - music from "Harry Potter" and "Jurassic Park," Schwartz - "Highlights from Wicked," Saint-Saens - "Danse Macabre," and Berlioz - "Witches' Sabbath." A celebration of our shiny new endowment.. Major repertoire: Mussorgsky - "Night on Bald Mountain," John Williams - "E.T." and "Scherzo for Motorcycle and Orchestra," Grieg - "Peer Gynt." The cowboy concert . 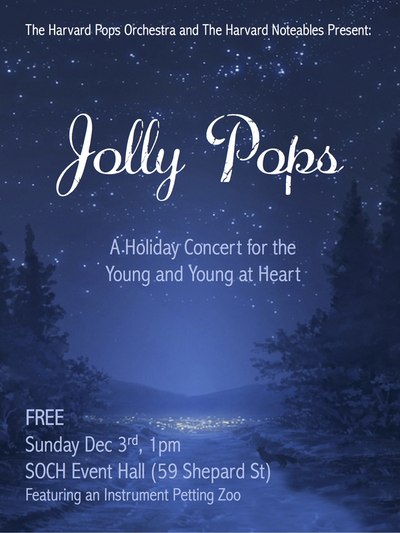 Major repertoire: Copland - "Rodeo," Williams - "Cowboys Overture," Grofe - "On The Trail." The pirate concert . 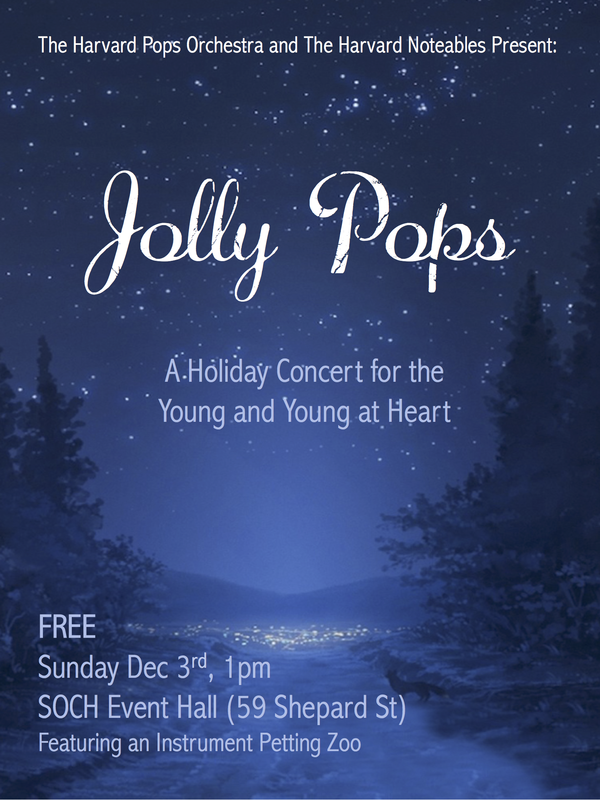 Major repertoire: Rimsky-Korsakov - "Scheherezade," Smetana - "Moldau," Badelt - "Pirates of the Caribbean." A staged musical murder mystery featuring special guests Tom Lowe, Jess Peritz, and a theremin. The story of a lovesick astronaut and her destiny in the stars. A celebration of music used in and written for cartoons, featuring a live performance of the Bugs Bunny classic "The Rabbit of Seville," and an original score to a 1924 cartoon, "The Flying House." An evening of rock-related music, from rock and roll hits , to Rachmaninoff, to that big rock in Indiana Jones. 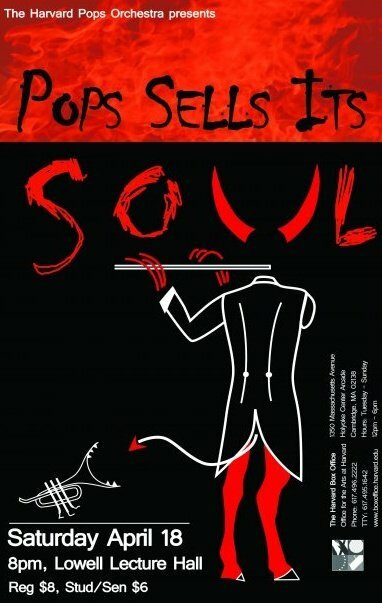 An evening of songs by special guest Larry O'Keefe, composer of the off-Broadway hit, "Bat Boy." A celebration of all things Oscar, from Oscar Hammerstein II and Oskar Schindler to Oscar Meyer Weiners and Oscar-the-Grouch. Oh yeah, and the movie awards thing.